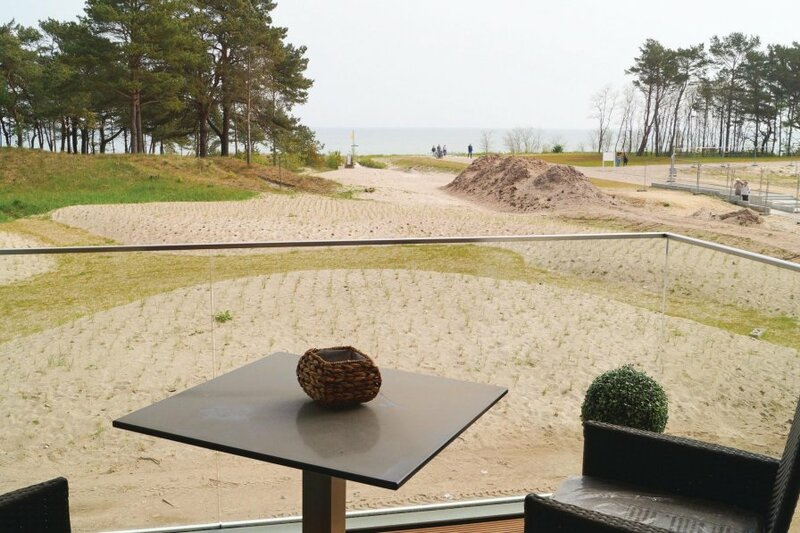 This home is a monument - an exclusively designed holiday home of 91 square metres, which is located right on the Baltic Sea (Apartment Type – Amber). Situated just a few steps from the most beautiful beaches of Rügen, this is a special holiday home with upscale furnishings and offers relaxation and luxury in any season. One of the largest monuments of Germany has been transformed into a genuine holiday paradise. The resort has modern apartments with impressive design and stands right on the 7 km long heavenly beach called Prorer Wiek that carries a Caribbean Flair on the chalk cliffs with crystal clear water. Along the beach boardwalk, there are cafes, restaurants and small shops to buy your daily needs. You will not only like the fresh sea breeze and relax with a glass of wine on the private terrace, but also enjoy a cup of cappuccino in the private bar called Prora Solitaire in the morning or enjoy the sunset after a beautiful day on the beach. The holiday apartment has two floors (ground floor and first floor) and provides an upscale enjoyment and feel-good atmosphere. The exclusive entrance of the house offers a lot of private space. The fashionable furniture provides harmony and elegance. Every piece of furniture or accessory has been carefully selected and nothing has been left to chance. This home offers a healthy room climate and allergy-friendly materials. Both on the partially covered, 17 square metres huge terrace and on the small balcony, enjoy the breeze of the Baltic Sea with complete privacy. From the huge bedroom on the first floor, there is a direct access to the balcony. Let your mind wander enjoying a magnificent view of the park and the pine forest from here that extends till the Baltic Sea. This room with a 2 x 2 metre bed provides a relaxing bedroom. Both the bedrooms are equipped with a private, huge TV. 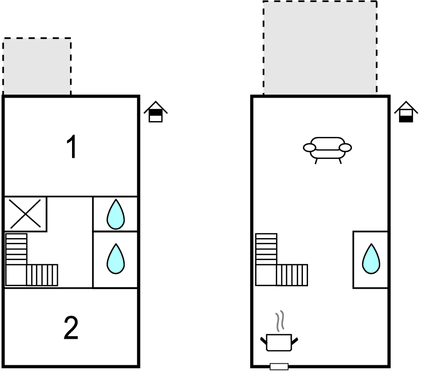 A double bed (1.6 metre x 2 metre) is available in the second bedroom. The sofa in the huge living area on the ground floor provides a cosy sleeping space (the mattresses are 1.6 metre x 2 metre). The holiday home in Prora is equipped with modern, upscale electronic equipment for entertainment. In addition to the TVs, there is an iPad with wall-mounting and an upscale Sonos® Music System, which you can connect with your smart phone. A park-like garden landscape with an outdoor pool (since July 2016), a barbecue corner, recreational area and indigenous flora and fauna is situated in front of the holiday home in Prora Solitaire. The garden is exclusively for use by the guests of Prora Solitaire and a small pine forest forms a screen between the beach and your private space. Prora Solitaire is an oasis for tranquillity of body, mind and soul throughout the year! All the guests of Prora Solitaire can make use of the spacious spa area which is open to all the guests. The home not only has a huge indoor pool with children’s pool but also has a separate sauna and relaxation areas, a gym with appropriate equipment and options for massages and other treatments that can be booked at the reception. A small car can be parked in the private parking of the resort at extra cost. All the guests can make use of the washing machine and dryer placed in the room on the second floor, for an extra charge. This beautiful apartment was originally built in 1936 and refurbished in 2015. The agent has rated it as a five star property so it is one of their best apartments - tastefully furnished and fully equipped. It is also great value for money. This apartment has use of a shared pool and sea view from first floor; it is also only 5km from Binz. It is set in a very convenient location, just 80 metres away from a sandy beach. There's also a restaurant only 150 metres away.